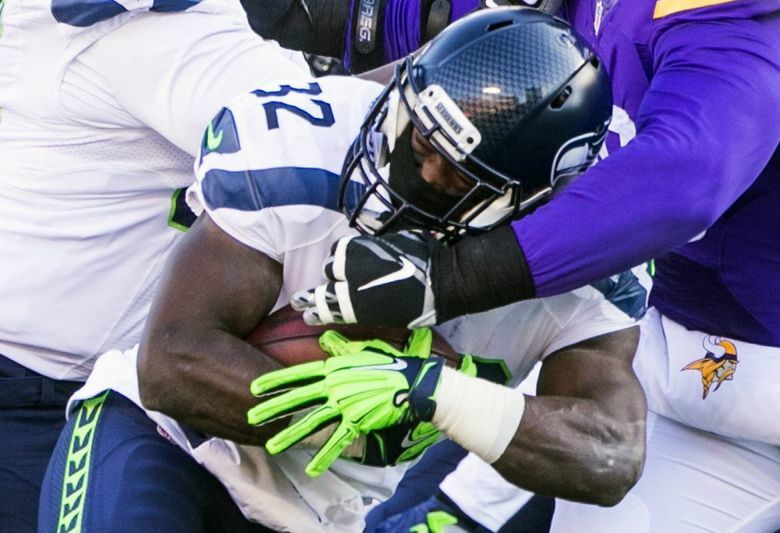 The Seahawks on Thursday announced the re-signing of running back Christine Michael. The team's first pick in the 2013 draft, he was traded before the season and then re-signed late in the year. The Seahawks have re-signed running back Christine Michael, adding some depth at a spot that will be without Marshawn Lynch for the first time since 2010. Michael was the team’s first pick in the 2013 draft, taken in the second round, but after two lackluster seasons was traded before the start of the 2015 season to Dallas. He played sparingly there and was released and then signed to Washington’s practice squad, and then released and signed by the Seahawks after injuries to Thomas Rawls and Lynch. Michael thrived in his return with 192 yards and a 4.9 per carry average in three games and then getting 70 more on 21 carries in the wild card playoff win over Minnesota. Michael, 25, is the third tailback on Seattle’s roster joining Rawls and recent free agent signee Cameron Marshall. Michael had been a restricted free agent but was not tendered an offer by the Seahawks, which would have guaranteed him $1.67 million. Michael instead signed a deal as an unrestricted free agent that likely is for a lower salary, though terms have not yet been revealed. Bryce Brown and Fred Jackson, who ended the 2015 season as Seattle’s other tailbacks, are also unrestricted free agents. With Lynch having retired, the Seahawks could look to the draft this year, as well. Seattle has not drafted a running back since taking Michael with the No. 62 overall pick in 2013.